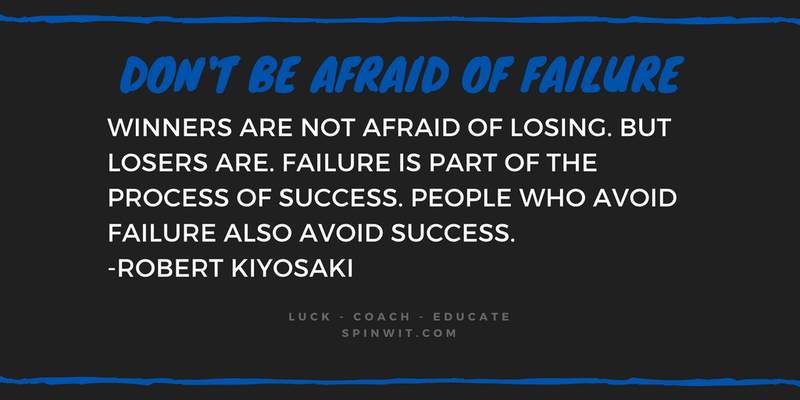 When failure is highlighted in stories...it is mostly described as part of an ultimate success. When you fail...and that failure discourages you from some bigger goal...nobody will remember that failure except you. 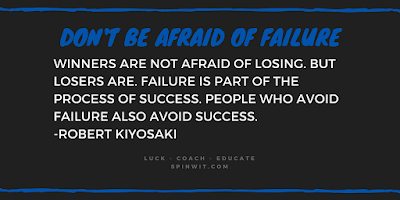 Overcome a failure as part of a great success...that failure becomes such a vital part of the success story...even to the point that many times that success would not have happened without it. I love this excerpt below from a Success Magazine Post about success and failure. Please read and comment on some failure that you have overcome in an ultimate success. Unlike Edison, many of us avoid the prospect of failure. In fact, we’re so focused on not failing that we don’t aim for success, settling instead for a life of mediocrity. Robert Kiyosaki educates people on managing money and has written multiple books about the differences between what rich dads teach their kids vs what poor dads teach their kids.